The Gilder’s Yard* is a complex regeneration project for Blackswan Development Finance located on the edge of the Jewellery Quarter in Birmingham. When complete the scheme will provide 156 residential apartments plus commercial units fronting onto Great Hampton Street. The site, which falls within the JQ conservation area, has an interesting history and currently contains a number of redundant industrial workshops including the Grade II* listed Ashford & Sons building. Blackswan’s brief to us was refreshingly aspirational. Firstly to conceive an ‘innovative and contextual architectural design’, and secondly to use ‘artistic interpretation to capture the unique sense of place’. To help us meet the brief we teamed up with the artist Robert Colbourne, who carried out extensive research into the history of the site. Rob’s work often involves investigating the former uses of a building or place, and crucially, his work helps us to find themes which allow us to carefully integrate the history of a place into our designs. 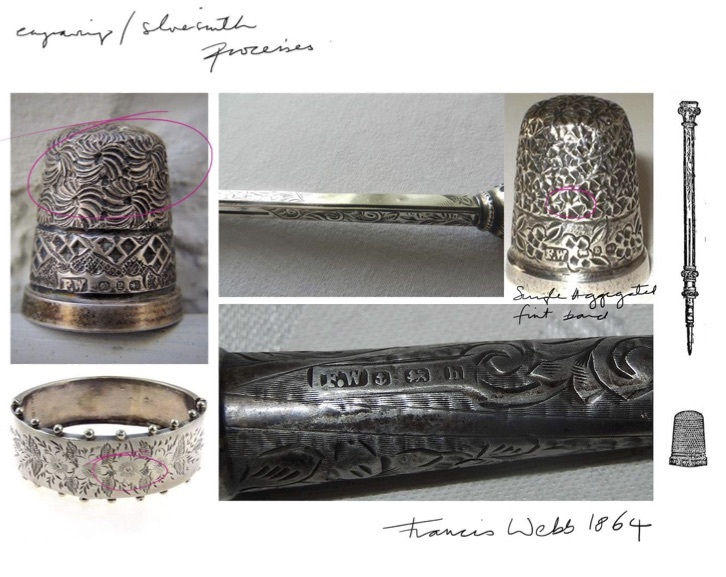 The term “Traditional Style To The Latest Trends” was appropriated from an Ashford & Sons advertisement uncovered during Rob’s research, and helps to organise an overarching theme. 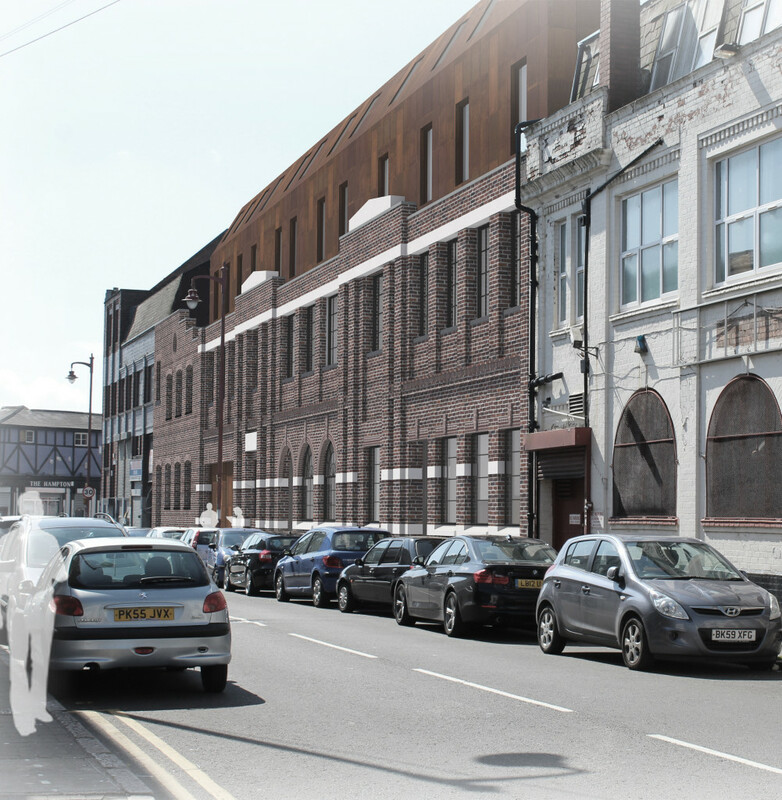 It means we can reference, reinterpret and repurpose pattern, colour, texture, material and forms synonymous with the Jewellery Quarter and the industries associated with the site. 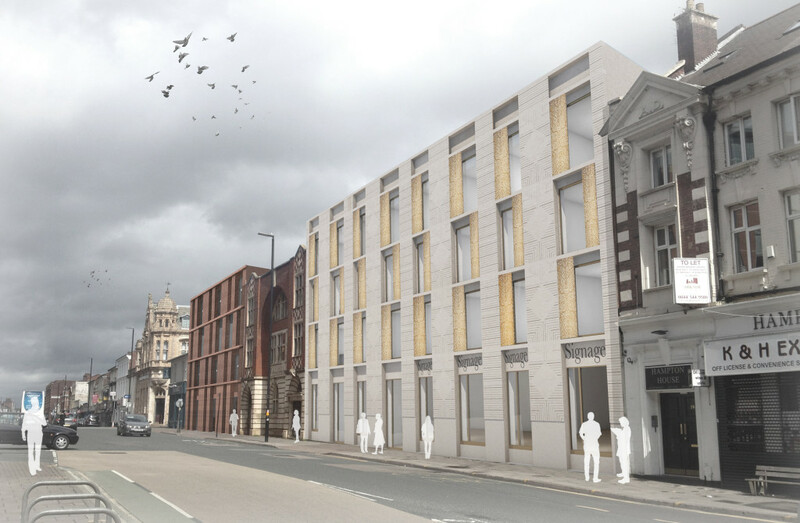 The existing site has an array of materials and textures which can be referenced in the appearance of the new buildings using blue brick, sandstone, gold, bronze, glazed and semi-glazed bricks and timber. The Southern building on the site is to be the most decorative and elaborate piece of architecture. 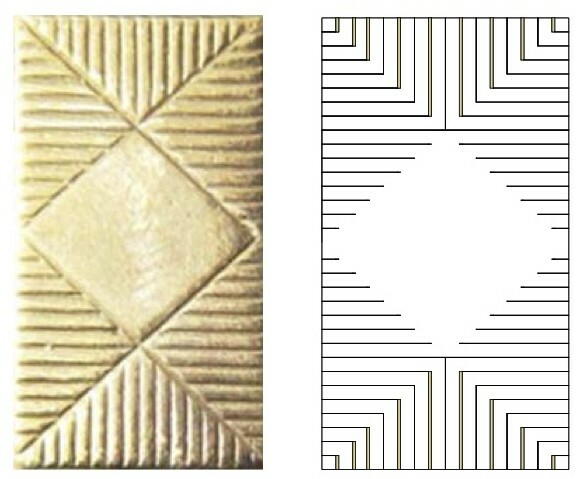 It is proposed that this elevation is constructed from traditional cream Faience (a type of terracotta), with inlayed gold coloured glaze to recreate the bold and larger scale geometrical pattern of the Regnum cufflink design (shown above). 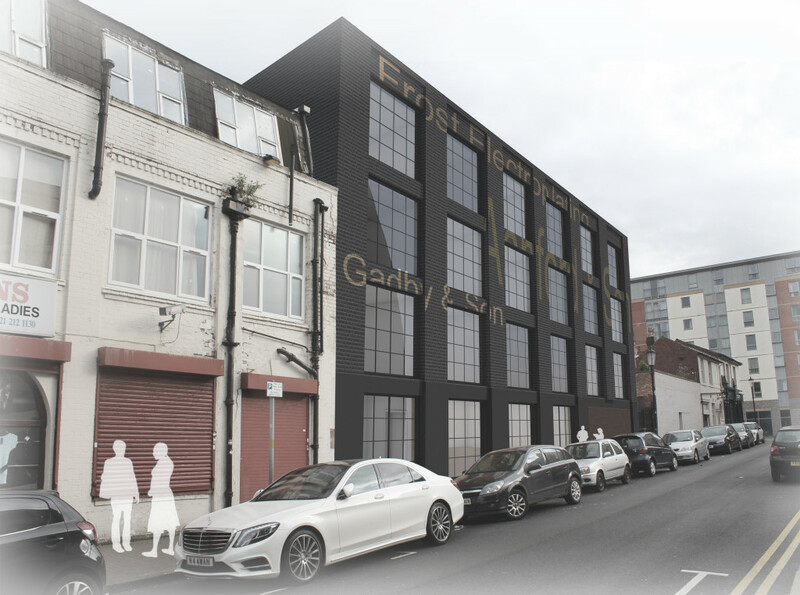 Gold coloured aluminium panels, designed by Rob Colbourne will line the window openings and will reference the smaller scale decorative objects formerly manufactured on the site. We intend to employ local artisans and crafts people in the area to manufacture these panels. The frontage of the listed building (the former Ashford & Sons) is Arts & Crafts in style, and in very good condition for its age (built in 1912). It will be retained in its complete form. Another area for artistic involvement is the gable elevation adjacent to the Church Tavern public house. It offers an opportunity for signwriting or artistic installation, perhaps based on the designs of Francis Webb, which create a juxtaposition with the gable of the adjacent building, or possibly referencing historic advertising techniques that would have been common place around the Quarter. The planning application for this scheme was submitted in June 2016. *Gilder’s Yard – so named because John Ashford started his business in Birmingham as a ‘gilt toy maker’. ‘Toys’ being defined as small articles worn or carried about on the person, ie. buttons, buckles etc.